Ben Snyder brings almost a decade’s worth of experience to his role as Senior Vice President of Shopping Center Business for Matthews™. Utilizing his market knowledge and outstanding negotiation experience, Ben leads his team in the disposition and acquisition of multi-tenant shopping centers in the Midwest. During his career, Ben has led the execution of over $2 billion transactions around the country, as one of the most active principals in the nation. With this experience, he brings a unique perspective and understanding of his clients’ needs, highly distinguishing him in the marketplace. His insight ensures the highest quality of service and results that Matthews™ has become synonymous with. 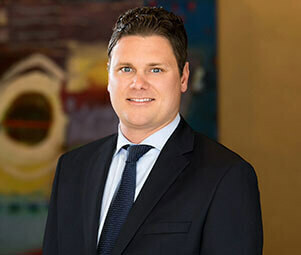 Prior to his current role at Matthews™, Ben established himself as an essential asset at DDR Corp. where he served as the Vice President of Transactions and created valuable relationships with some of the nation’s largest private and institutional clients.